DSLR cameras offer greater flexibility with image capture by allowing control over camera functions, so you can adjust the camera to specific conditions. Shutter speed: Look for the widest range of shutter speeds possible. Slow shutter speeds let you take photos at night without a flash (long exposure). Faster shutter speeds are used to take focused shots of moving objects like athletes, cars and animals. Aperture (f-stops): By changing the aperture (the opening through which light travels), you can brighten or darken an image without changing shutter speed. Changing aperture also changes depth of focus – e.g. create a blurry background (shallow focus range). White balance: Adjusting the white balance lets you make colours more natural – helpful when shooting under artificial light, like fluorescent globes. How does a DSLR store photos? Secure Digital (SD and SDHC). Some cameras have internal memory. Storage capacity is measured in gigabytes (GB). Fixed-length: A lens of 80mm brings the photo subject "closer", while 50mm is a similar perspective to the human eye. Wide angle: Great for capturing detail in close-ups and for taking landscape shots. Zoom lenses: The focal length can be varied, which lets you zoom in closer to objects. Zoom lenses are measured by their range, e.g. 55 to 200mm. Macro lenses: Unlike other lenses, macro lenses are able to focus on objects that are extremely close to the lens. Provide a more powerful flash. Offer more control over light levels (light can be angled or bounced for 'softer' light etc). Image stabilisers are internal components or functions which prevent blurred images. Some digital SLR cameras have an image stabiliser built into the camera body, while other manufacturers build image stabilisers into their lenses. Shooting modes: Choose different shooting modes for pre-programmed settings, which compensate for night shots, portraits, landscape, indoors, and cloudy days etc. Video: Capture video in HD or SD. Smile/face detection: Detects faces and automatically focuses on them. Also used for automatic timers. LCD viewing: Some cameras allow Live View, which means you can compose a photo on the LCD screen instead of the viewfinder. Continuous shooting: The more Frames Per Second (FPS) your camera can take, the better it is suited to action photography. Tripod: Levels and stabilises the camera, for long exposure shots and portraits. Memory cards: Always have at least one spare memory card. 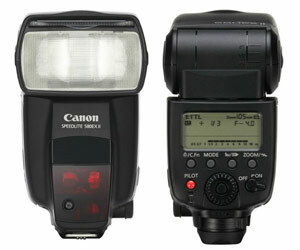 External flash: For photography in low levels of light. Camera bag: Protects your camera equipment with separate storage compartments. If you want to snap parties and holidays, choose an easy-to-use and versatile package. Size: Make sure the camera body is light, especially if you're travelling. Lens: Choose one or two zoom lenses, like an 18 to 55mm and a 75 to 300mm. HD video: This will save you carrying around a separate video camera. Take great action shots of the kids playing sport, or shoot car racing. Lens: Get a good zoom lens, e.g. 70 to 200mm. Fast: Look for fast shutter speeds, fast auto focusing and continuous shooting modes. ISO: ISO settings adjust the camera's light sensitivity. Action and low light photos work best with high ISO settings. 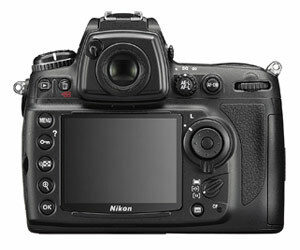 Speeds: Look for a wide range of shutter speeds and high ISO settings, for great results in a range of light conditions. 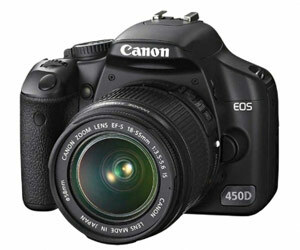 Lens: An advantage of DSLRs is the option of changing the lens for different effects and to vary the zoom. Flash: Built-in flash is fine for party photos; an external (hot shoe) flash can produce better results.